The village of Passchendaele in Flanders lends its name to the great British Commonwealth offensive of 1917 during World War I. Officially known as the Third Battle of Ypres, it is more often known by its alternate title of the Battle of Passchendaele. So, what actually happened at Passchendaele? 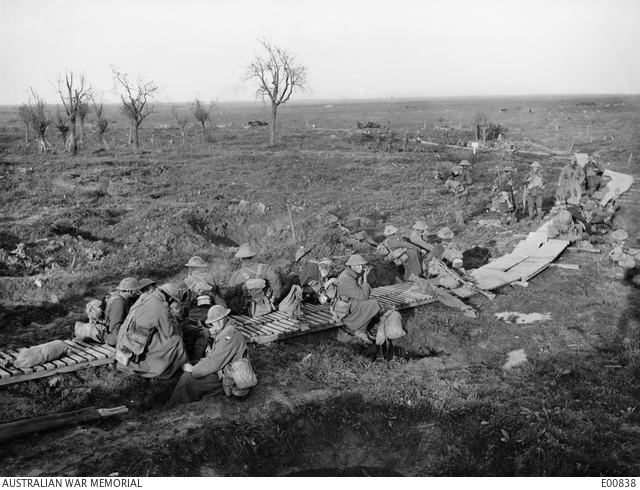 The Third Battle of Ypres was really a series of offensives that the British army and its Australian, New Zealander and Canadian allies conducted in Belgium between July and December 1917. The purpose of this offensive was hotly debated at the time and has continued to be, long after the war’s finish. Field Marshall Sir Douglas Haig, who planned and led the campaign, stated that the ‘Push’ was necessary to capture the German U-boat bases on the Belgian coast that were threatening Britain’s shipping lifeline. There was also pressure to conduct an offensive in order to ease the burden on the French who were largely in a state of mutiny at the time due to the failed and excessively bloody (even for the time) Nivelle Offensive. The British Prime Minister, David Lloyd George, was opposed to the offensive: he thought Haig was wasteful with his soldiers’ lives. George advocated the idea of sending British troops to Italy to assist the Italians in their war against Austria. Haig believed that wars were only won by offensive action. He argued his case successfully – largely by claiming the likelihood of greater gains than even he thought were possible – and was given permission by the War Cabinet to conduct his great offensive. To prepare for a ‘push’ onto Passchendaele Ridge, which dominated the surrounding territory, the Battle of Messines was fought during June 1917 and successfully cleared the German forces from Messines Ridge, permitting the wider offensive to take place. The 2010 film ‘Beneath Hill 60’ is set during that battle. The Battle of Messines Ridge, supported by the detonation of 19 enormous mines that had been dug under the German defensive positions, was a successful application of the new ‘Bite and Hold’ tactic, whereby massive artillery preparation and a ‘creeping’ barrage would allow the attacking infantry to advance under a protective artillery barrage, to take the objective, and then dig in to repulse the inevitable German counter-attacks. This technique was going to be used throughout the Third Ypres offensive, but shortages of ammunition, along with bad weather, poor planning and coordination difficulties, meant that it was not always applied. While the system tended to work when it was properly applied (albeit with substantial casualties), inadequate artillery support resulted in excessively high casualty rate for little or no ground gained. The main offensive of the Third Battle of Ypres began with the Battle of Pilckem Ridge (16–18 August), but after initial success with the Bite and Hold method, torrential rains ground the offensive to a halt. This heavy rainfall and the accompanying mud (which made the simplest movements nigh on impossible), continued throughout most of the remainder of the year and is today the feature for which the battle is remembered. The Flanders countryside is extremely low-lying; the high water table coupled with the destruction of the area’s drainage system by the sustained artillery barrages meant that the unusually high rainfall was unable to drain away, causing thick mud that could only be traversed on planks (known as duckboards). The numerous shell craters and trenches filled up with water that had been poisoned by the residue from the shells, including large quantities of poisonous gas. So deep and water-filled were these craters, and so difficult was it to break the hold of the thick, sticky mud, that men and transport animals drowned or were sucked under the mud in large numbers, adding even further horror to an already nightmarish experience. The Battle of Menin Road Ridge (20–25 September) was next, followed by the Battle of Polygon Wood (26 September–3 October) and then the Battle of Broodseinde Ridge (4 October 1917). These battles successfully took their objectives (at the cost of significant casualties), and also saw the Anzac forces enter the fray, spearheading the assaults. Unfortunately, the heavy rains returned. The remainder of the campaign was largely shaped by the appalling weather, dwindling artillery shell stocks and resulting devastating losses on both sides, as German counterattacks drove up the casualty rates. 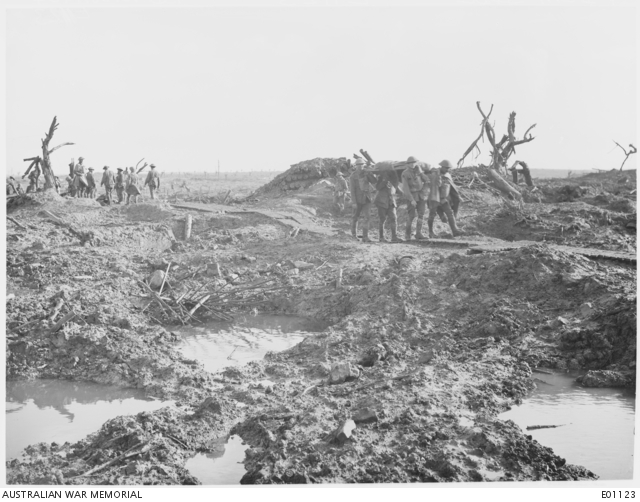 The Battles of Poelcappelle on 9 October, First Passchendaele on 12 October (which saw New Zealand’s bloodiest day of fighting ever) and Second Passchendaele from 26 October to 10 November 1917 were all conducted in appalling conditions without adequate support or preparation, and incurred casualties to match. Territorial gains were minimal at best. The Canadians entered the fighting during Second Passchendaele and finally captured the village on 6 November 1917. On 20 November, the Third Battle of Ypres was officially brought to an end. The Belgian U-boat ports remained in German hands, though the British naval convoy system was able to contain them and keep Britain’s naval supply-line open. The Third Battle of Ypres continues to invite controversy up to the present day, with numerous books on the topic and any number of views as to where the blame should be directed. That the whole business was a tragic mess is generally accepted. 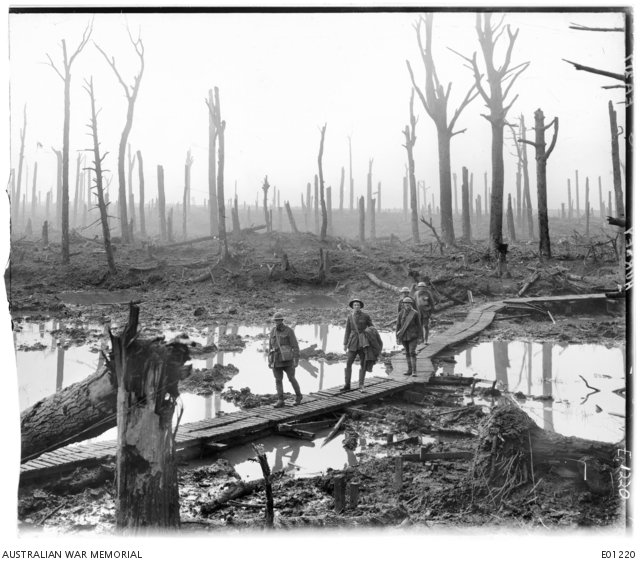 To this day, Passchendaele remains a byword for the horrors of war taken to their most extreme, largely thanks to the photographs which still hold their impact 100 years later. Looking through the collection material of State Library Victoria, it is interesting to note how each generation viewed and remembered the Battle of Passchendaele. Casualty numbers for Commonwealth forces are simply not given, although it was acknowledged that ’[t]he fighting during Wednesday afternoon and evening was exceedingly severe’. Wartime censorship and the need to preserve morale both in the armed forces and on the home front could not permit a closer, franker examination of what had just occurred. After the war, the truth began to come out. The tone of the various unit histories tends to be one of immense pride in the unit (generally these histories are at the battalion level), but the authors are also sure to list the casualties that they incurred, including names, total number and percentages of their forces lost. Charles Bean, author of the Australian official war histories, was highly critical of the conduct of the campaign, but also displayed pride in Australian achievements. Later generations have become increasingly critical of the way in which this battle was conducted. The memoirs of those involved at the higher echelons of power took care to direct the blame away from themselves and towards their political adversaries. David Lloyd George (British Prime Minister at the time of the battle) was particularly strident in his criticism of the British field commander, Douglas Haig. Interestingly, however, Haig’s rank and file soldiers remained loyal to him after the war. State Library Victoria holds a number of items regarding the battle that may be of interest, including books, pictures and maps. Histories and reinterpretations of the battle continue to be written and published and several new works have come out in time for the battles centenary. A couple of good readable, recent examples include Passchendaele: requiem for doomed youth’ by Paul Ham, and Passchendaele 1917 by Chris McNab’. Maps in the collection include details such as barrage lines and infantry tape lines (to indicate where infantry units were expected to advance). A good example can be found here. Further maps, pictures and books can be found by searching ‘Passchendaele’ on the Library’s catalogue.